SkillClient is out for Minecraft 1.12.2, besides this it now supports Minecraft Forge! 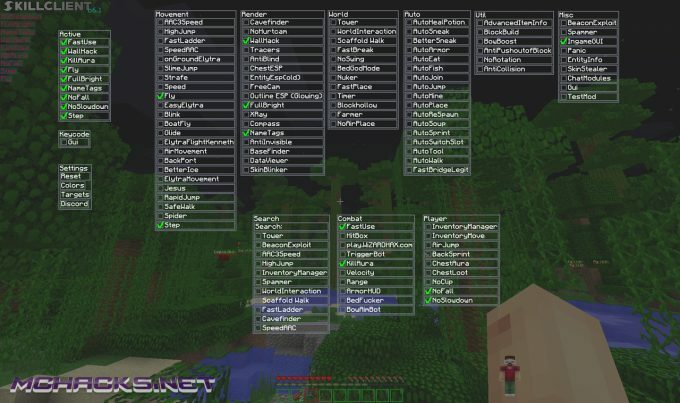 This means that you can use all your favorite Minecraft Forge mods at the same time as using the hacked client. It comes with over 100 cheats/hacks/features/mods. As mentioned, it is compatible with Minecraft version 1.12, but it also supports Minecraft Realms. 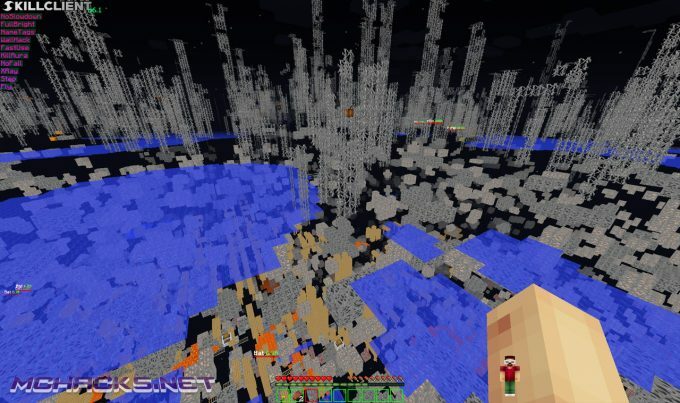 If you don’t want to use it on Realms, you can still use it in single player or online multiplayer on servers. As always, be aware that you might get banned from the server if you get caught cheating. Press the “Right Shift” button to bring up the menu! If you have problems installing, visit the SkillClient page for further instructions. Download free below – remember to disable AdBlocker for this site to display the download links.